Crystal River is a city in Citrus County, Florida with a population of 3,108 according to the 2010 census. 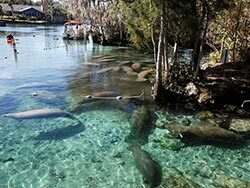 The city was incorporated in 1903 and is the self-professed "Home of the Manatee". 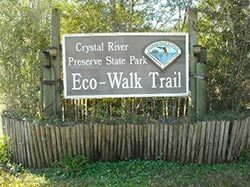 Crystal River Preserve State Park is located nearby, and Crystal River Archaeological State Park is located in the city's northwest side. 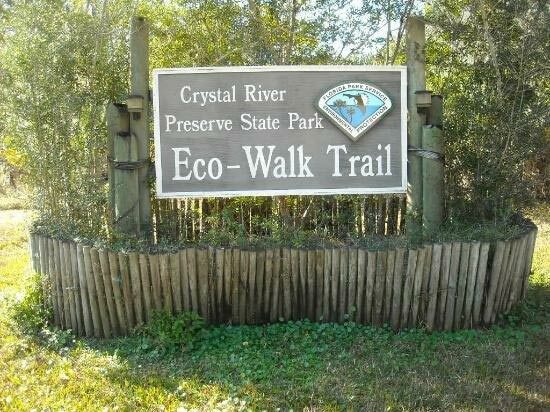 Crystal River is at the heart of the Nature Coast of Florida. The city is situated around Kings Bay, which is spring-fed and so keeps a constant 72 °F (22 °C) temperature year round. A cluster of 50 springs designated as a first-magnitude system feeds Kings Bay. A first-magnitude system discharges 100 cubic feet or more of water per second, which equals about 64 million gallons of water per day. Because of this discharge amount, the Crystal River Springs group is the second largest springs group in Florida. 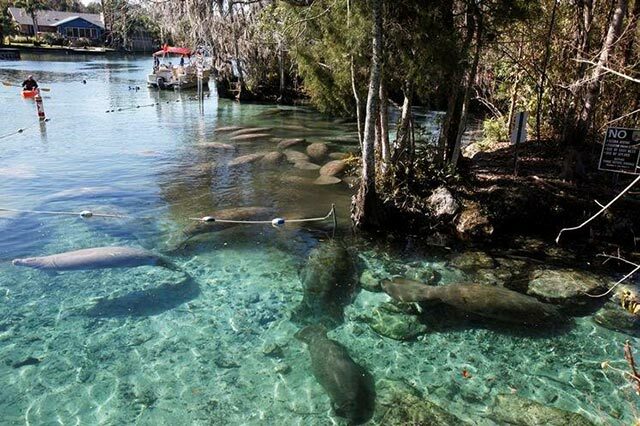 Kings Bay is home to over 400 manatees during the winter when the water temperature in the Gulf of Mexico cools, and is the only place in the United States where people can legally interact with them in their natural conditions. In the Pleistocene era, the land on which Crystal River is located was vastly different from today. The west coast of Florida is thought to have extended an additional 50 to 60 miles into the Gulf of Mexico. During excavations in 1969, scientists discovered rhinoceros and mastodon bones, as well as the shells of an extremely large armadillo and a large land tortoise. Around 500 B.C. 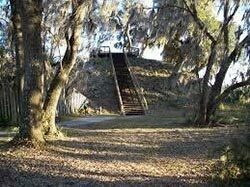 mound-building Native Americans built a settlement along the Crystal River, which is now the Crystal River Archaeological State Park. 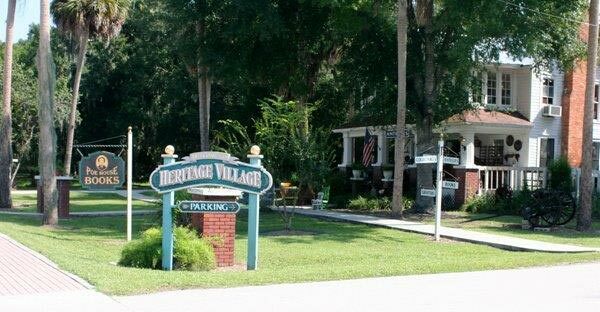 Following the Second Seminole War, settlers were encouraged into the area and by the mid-1800s, families began to settle in the Crystal River area. Following the Civil War, Crystal River grew. People from states to the north began to arrive, attracted by the area's mild climate and the potential of becoming wealthy growing citrus fruits. Early settlers to the area had found wild citrus trees growing in abundance, thanks in part to the Spanish explorers who had brought oranges with them on their ships and had discarded the seeds in the new world. This gave rise to the planting of citrus groves. In 1888, the railroad reached Crystal River. The arrival of the railroad proved to be a boon; it provided an easier way to ship and receive goods, and it was an easier way for tourists to travel. Sport fishing became a draw for many wealthy northerners. Crystal River became a town in 1903. It was officially incorporated as a city on July 3, 1923. 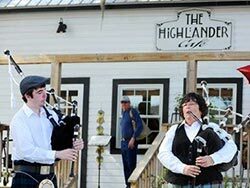 Today Crystal River is has an active historic downtown, home to many specialty and antique shops, arts and crafts, old fashioned ice cream parlor, cafés, restaurants, pubs, wine shops, and more. 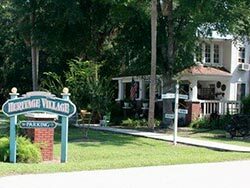 Historic Downtown Crystal River is also home to many annual festivals including the Manatee Festival, Stone Crab Jam, Scallop Jam, Crystal River Beer Festival, Christmas Parade, Fourth of July Fireworks, Scarecrow Festival, and more. Boating, fishing, manatee tours, dive shop scuba rentals, kayak rentals, paddle board rentals, pontoon boat rentals and other water-fun related activities are enjoyed by visitors and residents alike. Scalloping season has become very popular, a license is required or you can go on a guided scalloping tour, where all the necessities are provided and you take your catch home to eat. Crystal River has many waterfront communities with waterfront property for sale at reasonable prices compared to other more developed seaside areas of Florida. 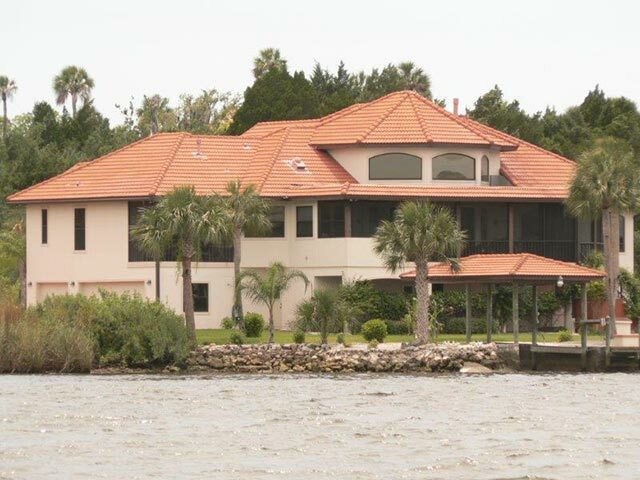 Kings Bay Drive offers palacios waterfront estate homes. Dixie Shores and the Islands offer more secluded waterfront residences. A little further south is the Ozello Keys, Florida most northern string of keys connected by roadway. Whatever type of home in Crystal River you are looking for, contact Waggener Properties today for the most up-to-date real estate information available.